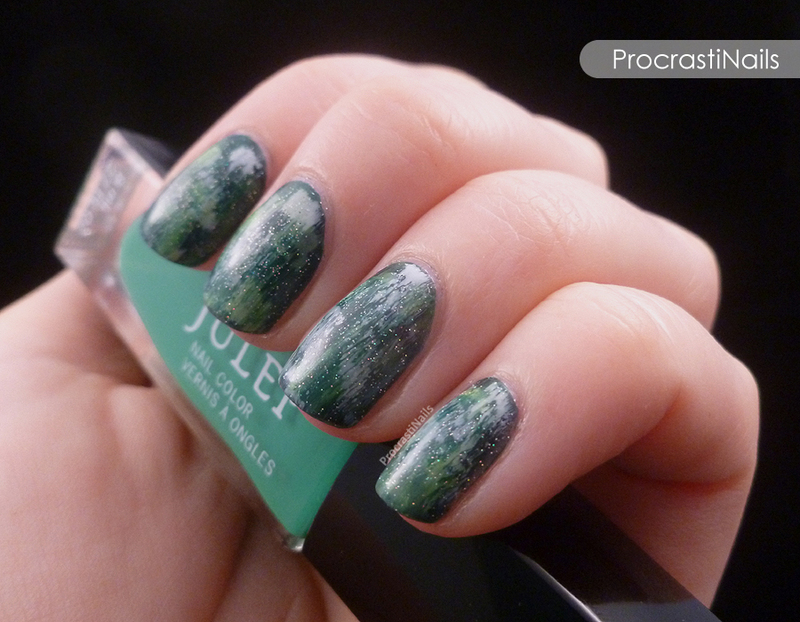 As I mentioned yesterday, today I bring you another nail art challenge! 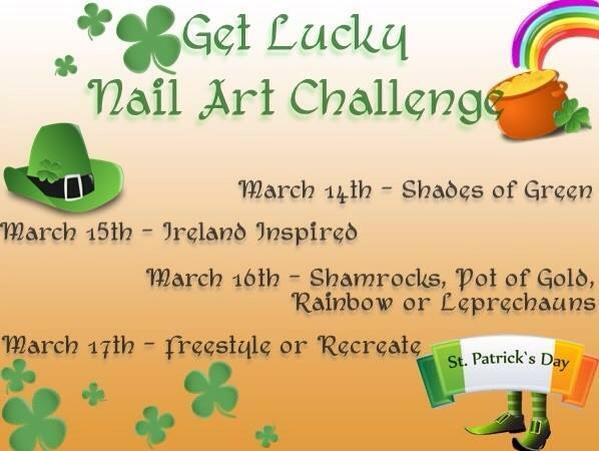 This one is called the Get Lucky Nail Art Challenge. It's going to last for 4 days, and (as you've probably guessed) it's themed around St. Patrick's Day. 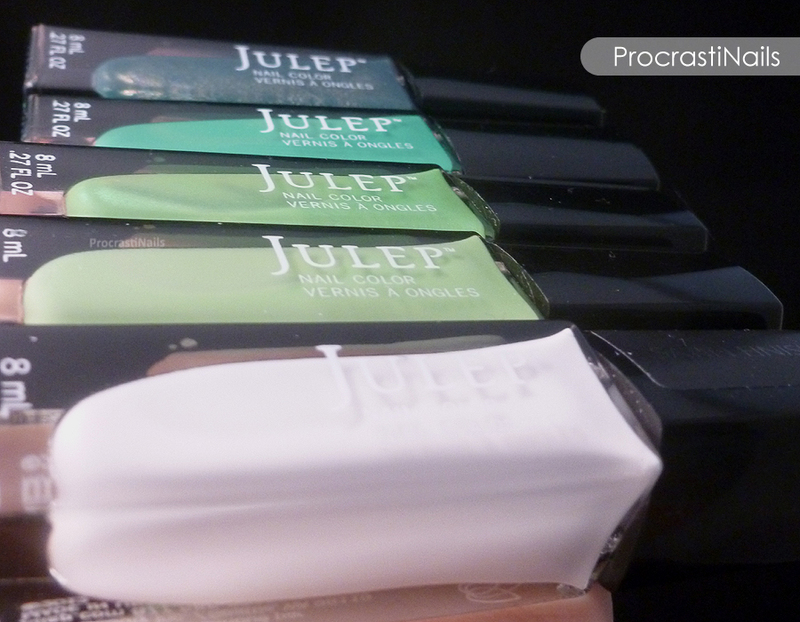 First up: shades of green! I knew I wanted to do a grunge/distressed look so I knew I was going to need a handful of polishes. 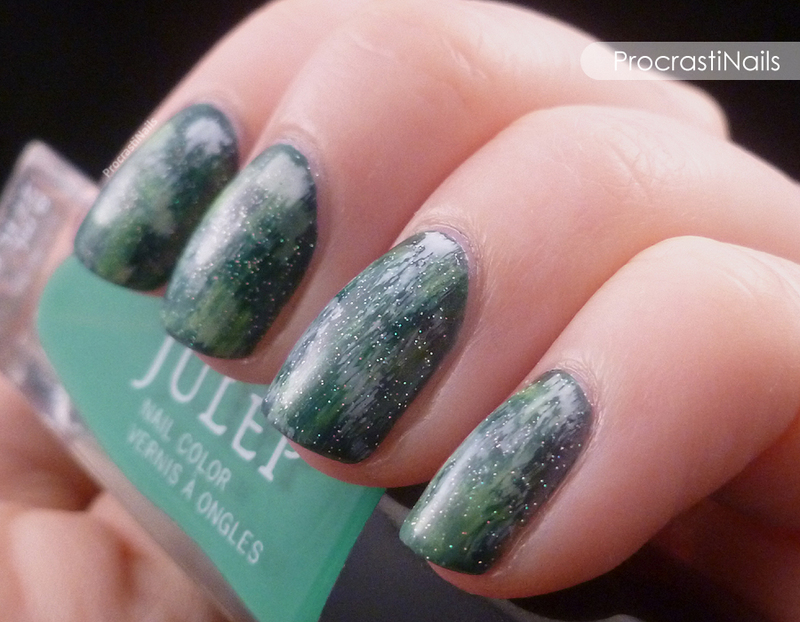 I decided to pull all my green Julep polishes for this look (top to bottom: Julep Valerie, Payton, Mackenzie and Courteney) combined with Julep Hope for a bit of contrast. As it says in the title, use ALL the greens!! Haha. March 15 - Irish Flag or Irish Candy? Who knows! March 16 - Deconstructed Lucky Rainbow! March 17 - My St Patrick's Day Nail Fail! And be sure to check out the other fills from today y all the lovelies in the group! 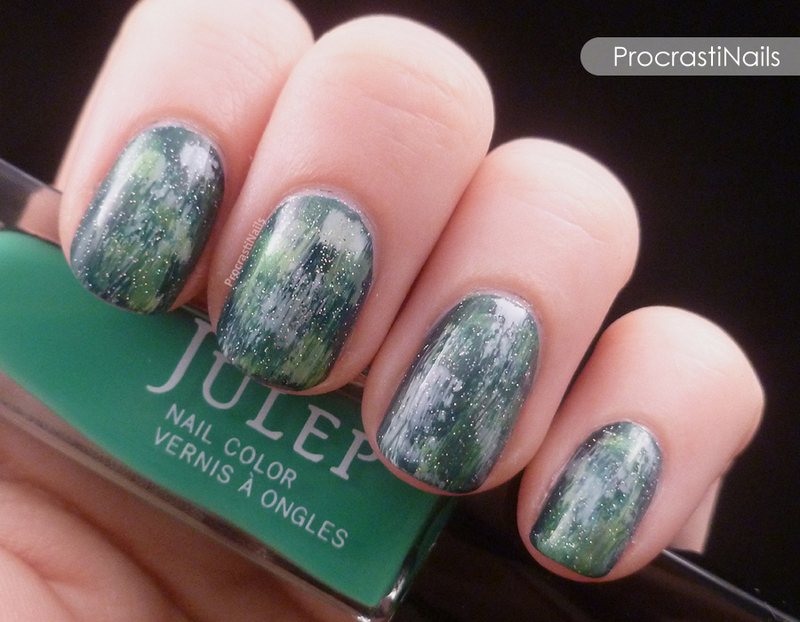 Its a great distressed green mani and i love the glitter you added on top too.